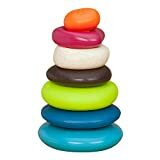 SENSORY TOY: Touch, build or chew on 5 different rings and discover different materials, colors and textures. The lime green one is even squeezable. Doubles as a baby teether! 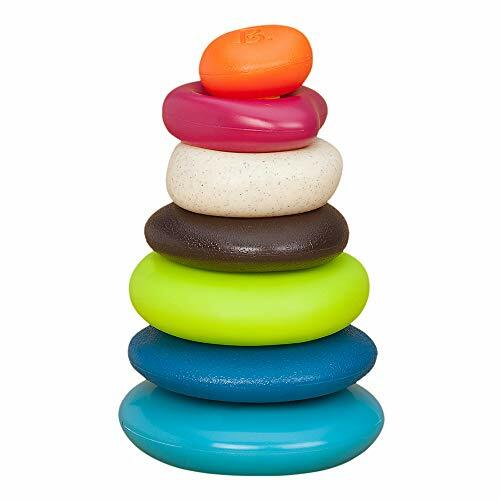 LEARNING TOY: Helps develop baby's curiosity and introduce him to the first stages of problem-solving, on top of helping build strong fine and gross motor skills, and hand-eye coordination.